The body exclusively uses the stem cells as raw materials to create other cells. Simply, a cell that generates cells with specialized functions is a stem cell. 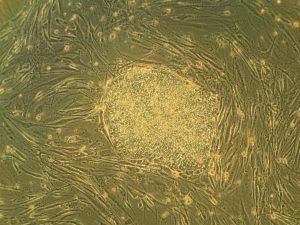 The daughter cells created by the stem cells will either go through the process of self-renewal to form more stem cells or through differentiation to become blood, brain, bone, and heart muscle cells, etc. Adult stem cells, known as the mesenchymal stem cells (MSCs), were originally separated from bone marrow. They have now been isolated from almost every tissue in the body, like the adipose tissue. Adipose Stem Cells (ASCs) show great potential for use in regenerative medicine and tissue engineering. Most people confuse Stem Cell Therapy with a stem cell transplant. But treatment based on the embryonic stem cells can achieve much more. For instance, they are used in Orthopedic Stem Cell Therapy to treat sports injuries. Research into treatment of mental disorders like Parkinson’s, Alzheimer’s, and Huntington’s has also begun. The results look promising. By studying how embryonic stem cell repair heart muscles, knowledge can be gleaned about achieving that in patients who have had a stroke. The same could be done for repairing damaged brain cells due to age-related cognitive decline. Thus, there is a lot to be gained without a need of transplanting a single cell. Stem cell therapy delivers results. However, with a wide range of treatments available, you’d want to weigh both options. Knowing the benefits that you may enjoy on choosing stem cell therapy could make that decision easier. It is a minimally invasive procedure that doesn’t require surgery. The stem cells are extracted from the bone marrow in your pelvis. Thus, it lacks the usual complications and risks associated with surgical procedures. Often the treatment method used to treat an injury might not be as long but the post-procedural recovery time is. With stem cell therapy, you’d be looking at minimal recovery time. Thus, you can expect a minimal interruption in your daily responsibilities with this treatment. Since the cells originate from your own body, you won’t run a risk of catching any communicable disease from another person. Don’t like being put under? Does the thought of being given anesthesia make you nervous or downright uncomfortable? Well, with stem cell therapy, you won’t need any anesthesia. Do you feel that stem cell therapy is the right choice for you? Then the Best Stem Cell Therapy Clinic awaits your call. Dial (310) 856-9488 today or connect with us on Facebook to get more information about this revolutionary procedure! Previous PostWhat is PRP Therapy and Why Should You Get It?